Most of you who have been into the outdoors for any period of time will be aware of Clif Energy Bars. These bars are one of the best known snacks in the recreation industry and are used by a wide range of outdoor enthusiasts including hikers. 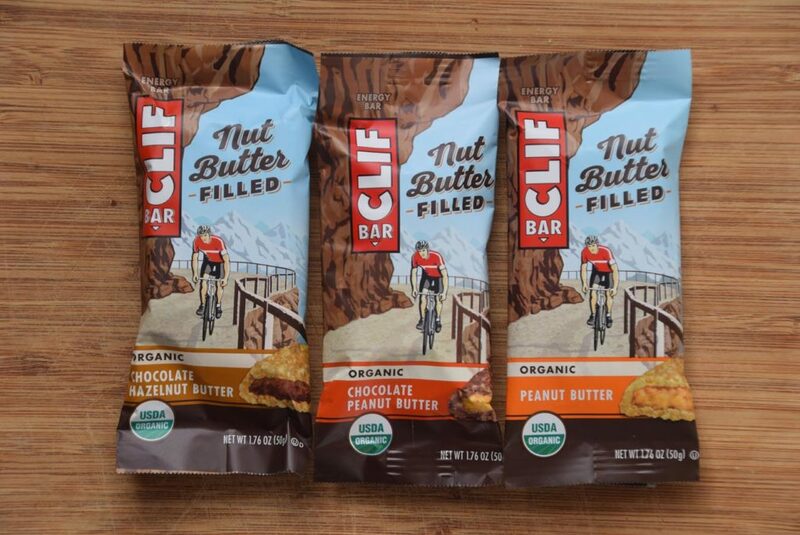 Last year Clif released a range of ‘Nut Butter’ filled bars in the USA and I have been eagerly awaiting their release onto the Australian market. I have a thing for peanut butter, I love the taste and texture as well as the high calories that help to keep me from starving on longer trips. As such, I bring a 375 gram jar of peanut butter for each week of my trip for my own consumption. I will also happily look at other ways to get peanut butter from other snacks too and this bar fits the bill. When I recently attended the Outdoor Retailer Association Expo in Sydney I was happy to see the Australian supplier of Clif had some samples to try and I managed to snag one of each variety to do a pre-release review. The nut butter filled bars at 50 grams each are around 40% smaller than the well known Clif Energy bars however the calories are denser so they’re very similar in the energy that they provide. Loaded with nut butter, they are also richer so the size works out well as a snack. The Clif website in the USA currently produce seven flavours of these nut butter filled bars and the Australian Supplier has chosen the three most ‘Australian friendly’ varieties to import. 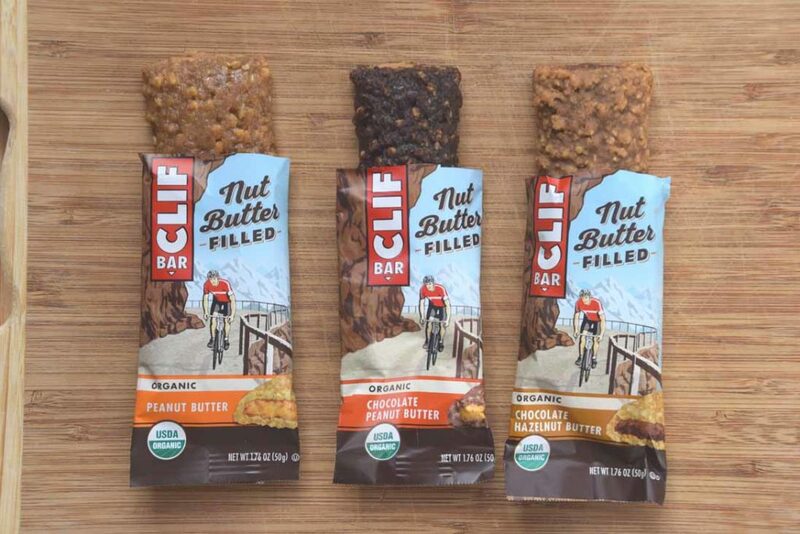 Based on our taste test we would both be happy to add these nut butter filled bars to our ongoing menu for hikes. I found all of them extremely tasty but between Gill and I we definitely had our favourites. See our taste test below. Once these bars have been officially released on to the Australian market I will update this review with a rating. Taste wise at least they hit the mark. He said: Tastes just like the packet describes; Peanut butter without being overbearing. Tastes good without being overpowering. Number three for me not because it’s bad but because the other varieties are so good. She said: Number one for me! Great tasting with lots of flavour and not overpowering. He said: Again has that peanut butter taste but is richer due to the chocolate outer. This bar has an aftertaste, but not in a bad way. While I like all three this is by far my favourite. She said: This one is too sweet for me – it tastes good but I wouldn’t be able to eat it in one sitting! Definitely my number three. He said: Hazelnut butter which has a bit more zing than the peanut butter varieties. Again rich and an extremely close second for my favourite. She said: This is my number two. I’m a big fan of hazelnut snacks but I often find them too sweet – this one isn’t.